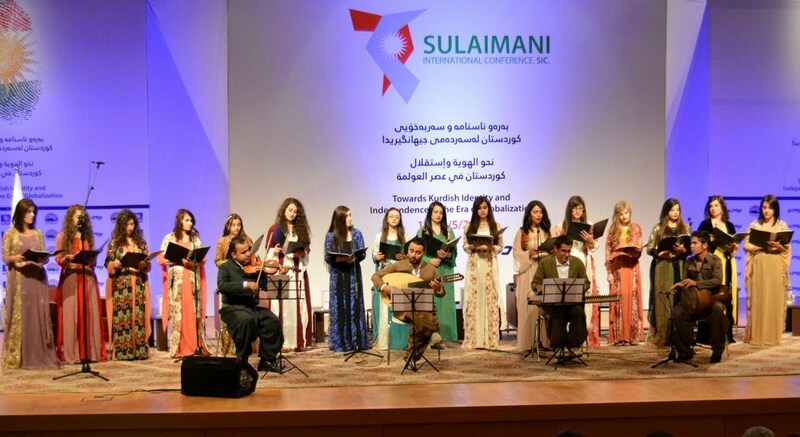 on Monday ( 16 th May 2016 ) Music Department Participated At the opening ceremony of ( international conference SIC ( Towards Kurdish Identity and Independence in the Era of Globalization ). They presented a beautiful Kurdish choir performance by students from the music department and a Music Activity / college of fine arts which is supervising by ( Dr. Abdullah Jamal Sargirma ) and Miss ( Kumiko okomora ). At the end, the University of Sulaimani honored the students of music department.